Whoa… nelly. This new product is awesome. You guys are familiar with International Delight, right? They make tasty coffee creamers. 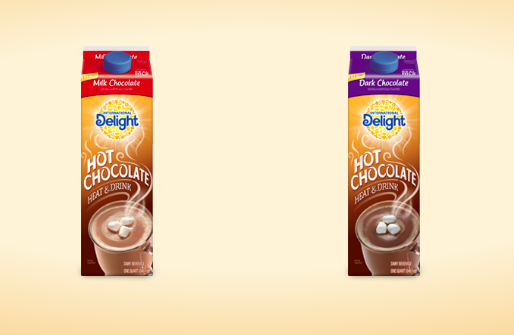 Well they nave a new product – International Delight Hot Chocolate. It’s not for coffee at all – it’s just straight ol good-fashioned hot chocolate. It comes in both milk chocolate and dark chocolate. How great and easy is that? 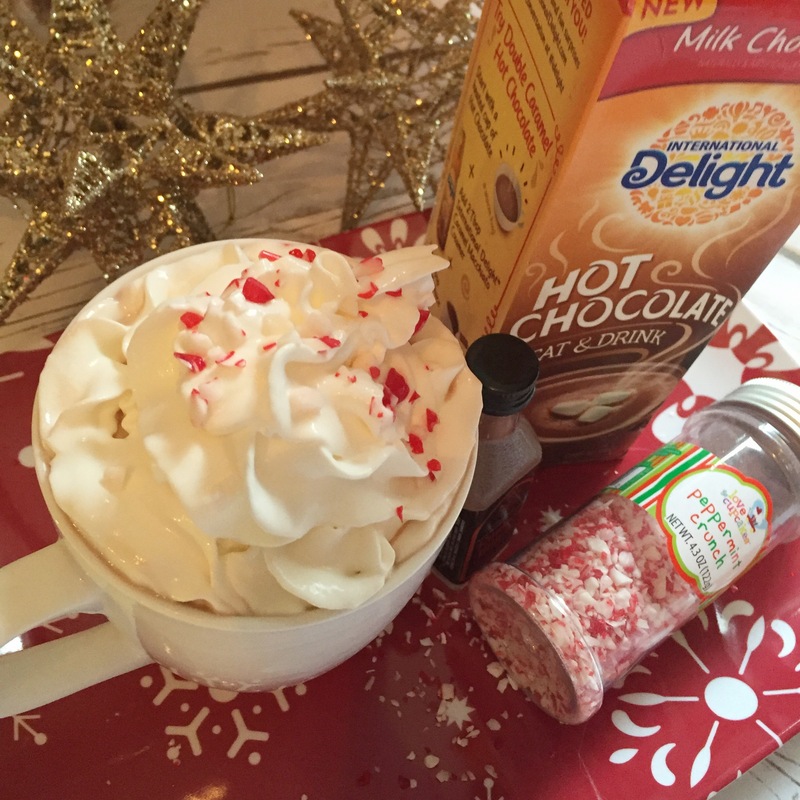 My kids love and ask for Hot Chocolate often this time of year and having it in the fridge and ready to go with a quick re-heat in the microwave is pretty convenient. 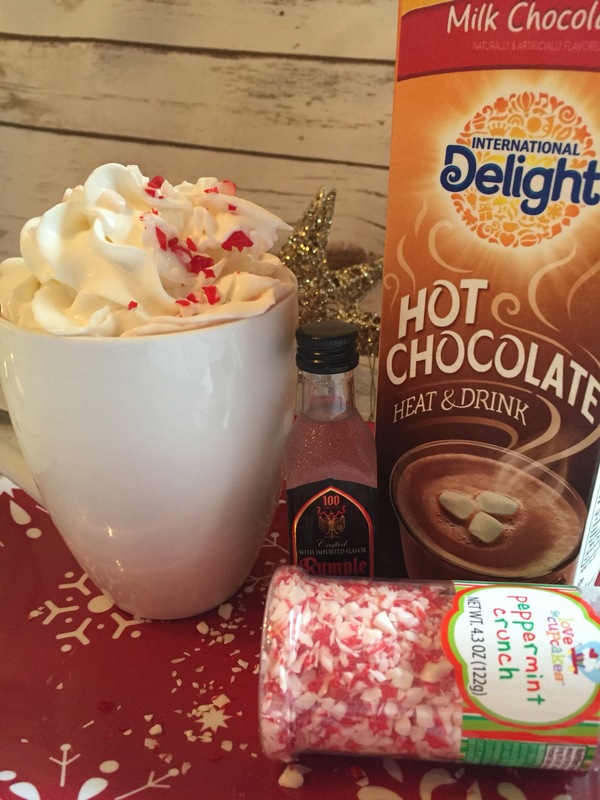 So for this post, I was challenged to come up with my own Hot Chocolate recipe and I knew right away what I would do. 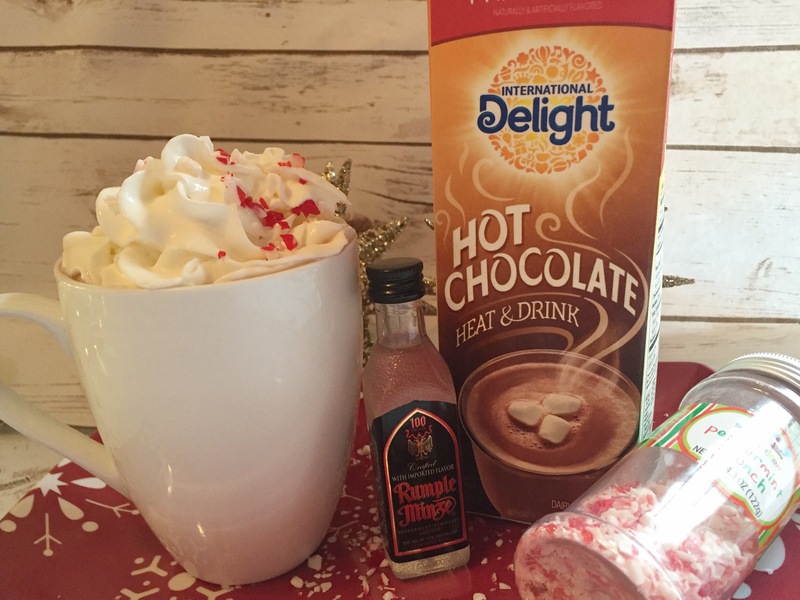 This ismy favorite apres ski drink – Hot Chocolate with Rumple Minze. Check out how easy this is to make and I promise you guys, you will not be disappointed. I’m calling it Not Your Father’s Hot Chocolate and it’s a great and easy recipe. I added whipped cream and some peppermint crunch pieces that I picked up at my local Home Goods.